Vasa Park is a tranquil 25 acre property situated along the beautiful Fox River, featuring towering mature oak trees and wide open space. 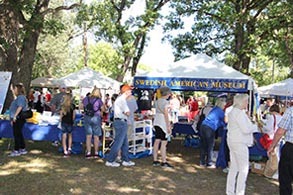 Scandinavian Park, Inc. holds numerous community events throughout the year, celebrating Scandinavian and Nordic traditions, including; music, art, crafts, food, and dance. These events are open to the public and persons of all ethnicities are welcome to join and enjoy. 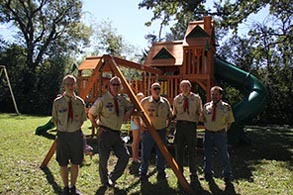 Vasa Park also serves as a learning center for local schools and scouting organizations. 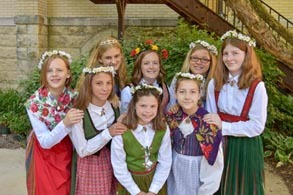 The Scandinavian Day Festival is dedicated to the preservation and celebration of the five Scandinavian countries: Denmark, Finland, Iceland, Norway and Sweden. Open to people of all ages and backgrounds, the Festival provides a venue to honor and present all things Scandinavian, past and present. 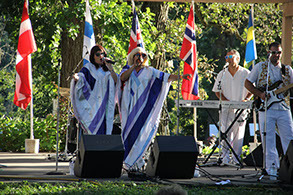 The crafts, dance, education, food, music, and merchandise of the Festival, combined with the historic setting of Vasa Park, creates an atmosphere full of the hospitality and warmth of Scandinavia. 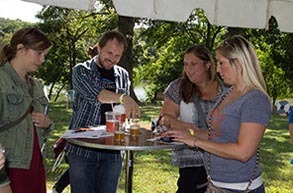 The Food and Beverage Vendors at the Festival provide a variety of offerings to satisfy every appetite! 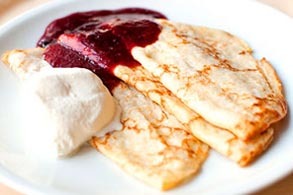 From refreshing Lingonberry Saft and coffee with skorpa to fried herring, pølse and köttbullar and much more, you will find something for everyone. Make sure and save room for Kringle and Aebleskiver! 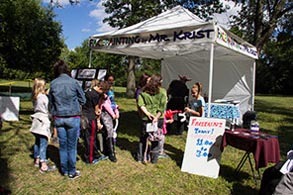 All Children’s activities are compliments of the Festival. This year our young guests are sure to enjoy the newly installed playground equipment! 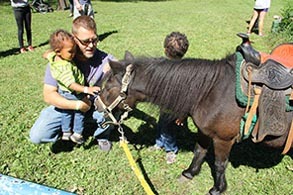 Also back are the popular pony rides and face painting. 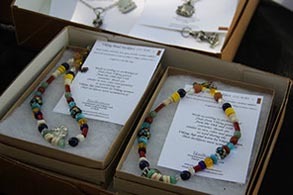 Crafts to boost creativity are also offered. 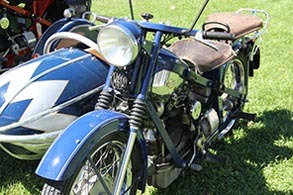 Activities are perfect for children of all ages and abilities. 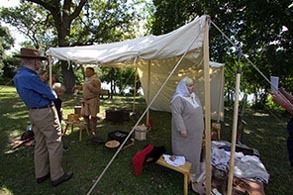 Walk along the Fox River side of Festival grounds and enjoy a trip back in time! An opportunity to explore and learn right here in your own backyard. 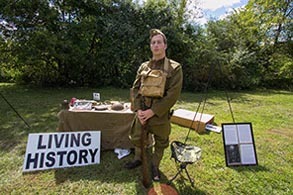 The Festival encourages all our guests to stop by and talk with our “family” across time and place. How often can you chat with a Viking? 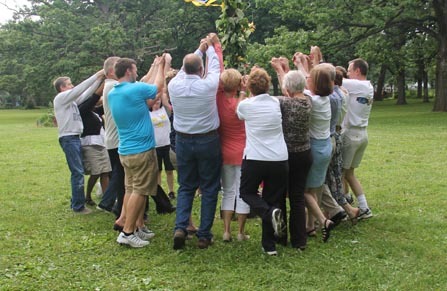 What better way to reconnect with old friends and to meet new friends, than a day spent under the Oaks! 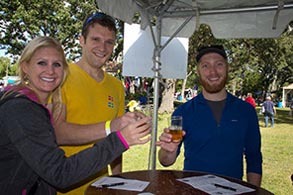 Whether you and your family are sharing a wonderful meal or you and people you have just met raise a glass and say, “Skål” the music and fun of the Festival is sure to pique your interest in Scandinavia. 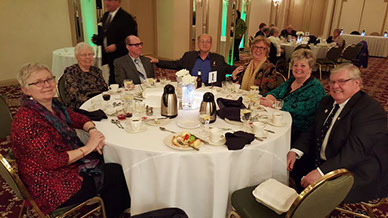 The Annual Dinner Dance is a great time to celebrate the coming of Spring and to reconnect with friend and family. 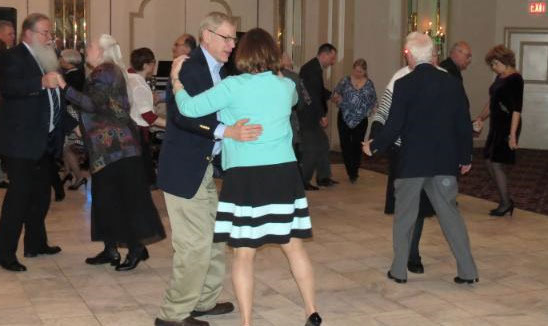 The evening is an important fund raiser for the park and includes a wonderful dinner, a huge raffle, and dancing. Attendance is open to the public and tickets must be purchased in advance. Donations and raffle prizes are welcome for those who would like to support the park. 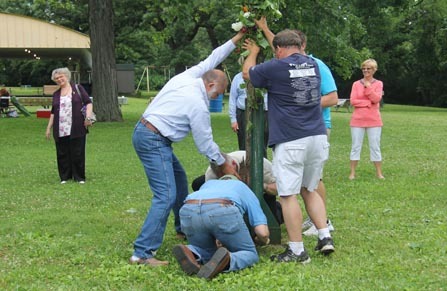 Vasa Park's traditional Midsommar celebration is an exciting event filled with great food, beautiful scenery, and good times among friends. 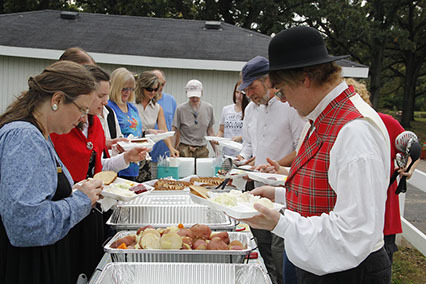 Midsommar is a pot-luck style event and takes place at the park. 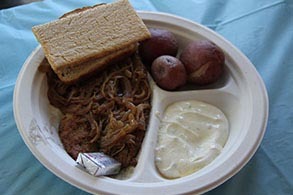 There is plenty of room to accommodate large families and picnic tables are available in and around the pavilion. The park also provides a bonfire and traditional May Pole dancing for all. Come out and enjoy this nice evening under the stars at Vasa Park! 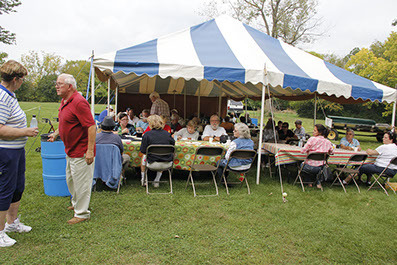 Vasa Park's Fall Fish Boil is a great tradition hailing from Door County, Wisconsin. Fresh lake cod is boiled over an open fire with tasty red potatoes and carrots. 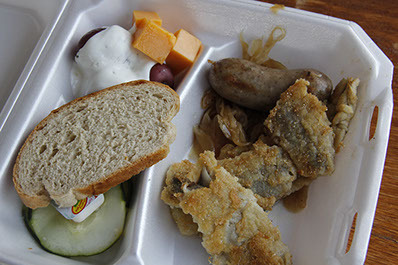 Enjoy your fish with melted butter or Vasa Park's own fresh dill sauce. 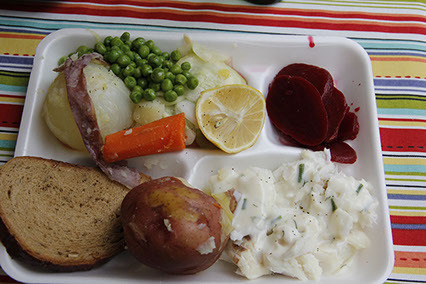 Side dishes include; beets, green peas, cucumber salad, and an assortment of breads. The bar is open and entertainment is on hand for all to enjoy.